"(We) got bait this morning at the island," reported Red Rooster III July 21. 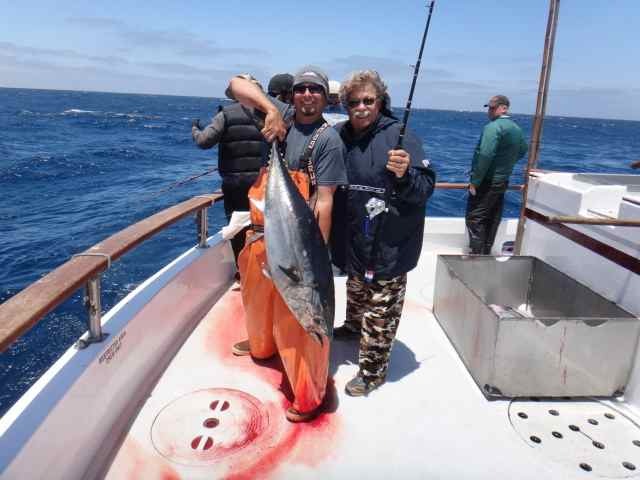 "(It) took almost all night but we got a tank of squid and looked for kelps on the way up and had some good action with about 30 mixed-size yellowtail then finished it off with a nice sundowner for 35 bluefin tuna here late. On our way home, our ETA is 7:45-8:00 A.M."